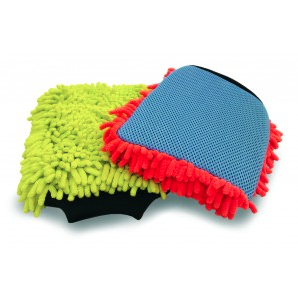 As an alternative to the traditional sponge, the Microfibre Noodle Wash Mitt fits over your hand like a glove. One side is covered in the soft microfibre noodles which gently and safely lift away the dirt, while the other side is a soft mesh for safely removing more stubborn marks like insect residue from the windscreen, headlights and bumper bars. Machine washable up to 300 washes.